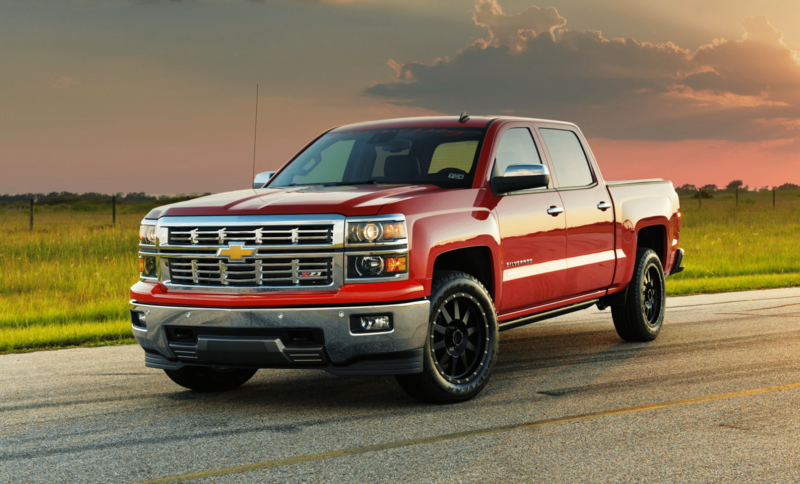 The Chevrolet Silverado 1500 is one of the most popular pickups in the US market, which makes the aftermarket plentiful when it comes to exhaust systems. To help you choose the best exhaust system for your Silverado 1500, we’ve taken a look at some of the favorites on the market. You may have heard the name Corsa in relation to cars before. That’s thanks to its translation from Italian which means race. And that’s where Corsa Performance got their name. Formed in 1998, their initial focus was purely on exhaust systems, although they have since expanded into the realms of air intakes and other engine performance modifications. With almost 20 years of experience in the automotive modification scene, Corsa Performance has always had a close connection to sound. Stock exhaust systems installed in cars are designed with sound dampening as one of their major features. When people swap these out for aftermarket products, it often results in a droning noise due to resonant frequencies, especially when cruising. To combat this Corsa Performance developed their patented Reflective Sound Cancellation (RSC) Technology. They first debuted this technology when they were founded, on the C5 Corvette, and ever since have continued to invest in perfecting the technology, ensuring you get all the benefits of an aftermarket exhaust system, without any downside. And that’s one of the main benefits you’ll be getting out of your Corsa exhaust system. The exhaust pipes are expanded to 3” to ensure you don’t get any back pressure, and a muffler, resonator and piping are all included with the kit. The entire set is made out of 304 Stainless Steel, and is made entirely within the USA. For added styling benefit, the exhaust tips split into a pair of 4” pipes before they hit the side of your car, with a polished stainless steel look. If you’re wanting to mix it up a bit, a black finish is also available. Corsa take extreme care and pride in their products. They make use of proprietary software to guarantee the acoustic performance of their parts, and make use of a combination of CNC tooling, 6-axis precision laser cutters and world class hand robot welders to ensure the best product for you. While there haven’t been a lot of customer reviews for the Corsa 14873, not one of them have been negative. In fact, they’re all five star reviews, complimenting the ease of installation, and lack of drone while still delivering a great sound. Regardless of your specific reason for purchasing this exhaust system, you will not be disappointed. It may be the most expensive item in our list, but it’s also number one on our list. Originally part of Car Sound Exhaust, MagnaFlow branched off from their parent company many years ago to form their own focus group. While Car Sound Exhaust maintain their reputation as a market leader in the development and manufacture of catalytic converters, MagnaFlow have proven their mettle in the cat-back exhaust arena, along with focus on mufflers and exhaust headers. With over 30 years of experience, MagnaFlow pride themselves on their commitment to quality, power and sound. All their products are manufactured in the USA, and they are certified according to the ISO-9001 quality management guidelines. To top this off, all their products are dynamometer tested, ensuring that their products deliver the performance boost you expect. As such, if you’re purchasing the MagnaFlow 15267 performance cat-back system, you can expect a performance gain in both horsepower and torque. Not only that, but the system has a great sound, offering a smooth, deep tone. The exhaust is manufactured out of stainless steel, guaranteed to last, and all bends are supported by mandrels to prevent any collapse and provide an unhindered, fast flowing exhaust path. The back-cat system provided comprises a resonator, muffler, and enlarged exhaust tip, all with an enlarged 3” diameter. Individual part joints are all welded, and hose clamps are provided to support joining the kit where necessary. Coming in a bit cheaper than the Corsa product, it’s not our top pick, but definitely still a viable option. If you prefer the look of a single enlarged exhaust tip instead of a split appearance, definitely consider it. They also offer the product in a black coated finish if preferred. The MagnaFlow has also managed to receive only raving reviews from its purchasers, all impressed by its sound on acceleration. Based in Southern California, Borla claim to be the originators of the aftermarket performance exhaust system. While they provide entire exhaust systems, their main advantage over competitors comes from their focus on performance mufflers. For each car Borla provide the same performance muffler, offering the power and torque improvements you expect, but giving you the option of various sounds, ensuring there’s a product to suit your needs. Borla products are made out of premium austenitic stainless steel. This guarantees long life which Borla have extended to their million-mile warranty, meaning your purchase is covered for 50 years at 20,000 miles a year. They really stake their name on their products, manufacturing them in the USA and using mandrels to ensure ultra-smooth bends and a maximum flow. This maximum flow and increased exhaust velocity ensures that drone is minimized. The Borla 140343 kit is manufactured from T-304 stainless steel and comes as a set of three parts which are combined with included hose clamps. A long pipe with resonator, performance muffler and tips are provided, 3” throughout, expanding to 4” at the tip. With Borla offering many different sounds for each car, the 140343 is advertised featuring their “Touring” sound. Other options on offer from Borla include S-Type and ATAK sounds. If you’re unsure what to choose, it’s best to consult Borla’s website. Regardless of your choice you can be certain it’ll be an amazing, engineered sound. Another product that has managed max ratings from its customers, the Borla system is offered at about 60% of the price of the MagnaFlow or Corsa products. Customers are noticeably pleased with the sound output, commenting that it is going to make your pickup sound good, without creating too much noise. We’ve talked enough about MagnaFlow already in this article, but we had to include some of their other products as well. The 15270 is a very different product to the 15267 but with many of the same advantages, and obviously also compatible with the Silverado 1500. Whereas the 15267 was a single exhaust system, the 15270 results in a twin tip exhaust. Unlike the Corsa which splits to a twin pipe just before the tips start, the MagnaFlow 15270’s output is separated within the muffler already. This gives the 15270 very different acoustic characteristics to the 15267. What this product provides then is all the performance improvements you expect from a cat-back system, in a typical stainless steel design, but with an aggressive twin tip exhaust look as well as a matching exhaust sound, which is characterized by a deep grumble. An alternative option if you’re a fan of MagnaFlow. The 15270 is marginally more expensive than the 15267, but still cheaper than the Corsa. Two reviewers both gave it a five-star rating, complimenting its great sound, which isn’t too much louder than stock. Another small advantage is that the 15270 system is only two parts, which should simplify installation, saving you a couple minutes. Flowmaster are a proudly USA based company, that sell parts from each section of the exhaust system, and also produce their own performance tuners. Their products all feature their distinctive Flowmaster sound, and come in mild, moderate aggressive and very aggressive variants. With strong ties to the racing community, Flowmaster has continued to sell performance parts of the highest quality, while investing in innovation and advanced manufacturing methods. Stemming from this is their collection of the largest number of exhaust systems available on the market, spanning cars, pickups, foreign and domestic cars. The Flowmaster 17395 system comprises a similar dual exhaust muffler to the MagnaFlow 1570, is made out of 16-gauge aluminized steel, all bent with mandrels to ensure unhindered airflow. The sound performance of the 17395 is characterized by the American Thunder designation, falling somewhere on the aggressive side of Flowmaster’s sound scale. The Flowmaster comes in considerably cheaper than others in today’s review. This is mostly because it is manufactured with aluminized steel instead of stainless steel. While not as corrosion resistant as stainless steel, the parts will still be an improvement on stock installations, coming with a 3-year limited warranty from Flowmaster. To also note is that the pipes in use are only 2.5” in diameter, with the dual exhaust tips terminate with a 3” pipe. While all products are dynamometer tested, and guaranteed to improve engine performance, this is different to the other products rated. While the Flowmaster 17395 is the first product to receive a non-5-star rating from a customer, they have received far more reviews than other products, and the non-conforming reviews were a minority of 3 and 4 star ratings, still resulting in an overall 4.4. The problems encountered related to fitment of the system, and the customer’s felt they had maybe been provided with the wrong parts. Once fitted there were no problems. If you really can’t afford the stainless-steel options, the Flowmaster variant offers a good alternative. Much cheaper and still backed by a good brand. Last on our roundup is the offering from MBRP. For over 20 years they have been selling some of the best performance automotive parts for a variety of industries. The cheapest of the products in this review, the system is composed mostly of aluminized steel, with the tip being a mirror polished piece of T304 stainless steel. Exhaust sound is characterized as rich and mellow and that is in addition to the extra torque and horsepower your pickup will generate. A full cat-back exhaust system, the MBRP S5080AL is delivered in six separate pieces which makes installation a little bit more time consuming. Only two reviews for the product have been completed by customers, both offering a 5-star results, saying how well it fit and being impressed with the sound. While offering an improvement in performance, the multiple joins will offer some hindrance in comparison to more expensive systems. If you’re purchasing this kit it’s based on a financial decision, and for that we can’t fault you. Longevity will be impacted by the aluminized steel, but even that will last longer than a stock exhaust system. Aftermarket exhaust system modifications are often marketed as cat-backs. This is in reference to the section of the exhaust system that is replaced. From the engine cylinders, exhaust gases flow through the exhaust header, onto the catalytic (cat) converter, and then out through the rest of the exhaust system. Cat-back refers to the section of the exhaust system from after the “cat”, through to the “back” of the system. Replacement exhaust systems generally replace only this section of the entire exhaust system. The most common reason that people replace their cat-back system is for the sound it makes. Many will claim it’s for the increased performance, which is certainly valid, but ultimately people like the more aggressive sound that aftermarket cat-back exhaust systems provide. In addition to the sound they make, the replacement of exhaust tips makes a noticeable change to any car, again giving vehicles a more aggressive, sporty style. The fact that many of the cat-back systems are manufactured from stainless steel also means that they are viable replacement parts and will last much longer than any stock exhaust system. From a performance perspective, it’s much harder to determine their effectiveness. A stock car is designed to certain specifications, and an exhaust system is designed to provide optimal performance at those specifications. Replacing the exhaust system is unlikely to improve that noticeably. A noticeable improvement may be noted when a cat-back exhaust system is installed on a system that has had other modifications made to it as well, such as being chipped, or having an upgraded air intake installed. These alter the performance of the engine, and thus improved exhaust flow and decreased back pressure may well improve vehicle performance noticeably. An upgraded exhaust system is great for a number of reasons. If you’re looking for the best exhaust system for the Silverado 1500, the Corsa 14873 cat-back exhaust system should definitely be top of your list of considerations. The cost may be a bit scary at first, but after installing it all will be forgotten, and you’ll continue to enjoy its benefits for years to come. Upgrading your exhaust system is one of the most popular aftermarket upgrades that many Silverado owners go for, among others including cold air intakes, leveling kits, shocks, tonneau covers, wheels, tires and tint to name a few. The only question that remains is, which one will you do first?